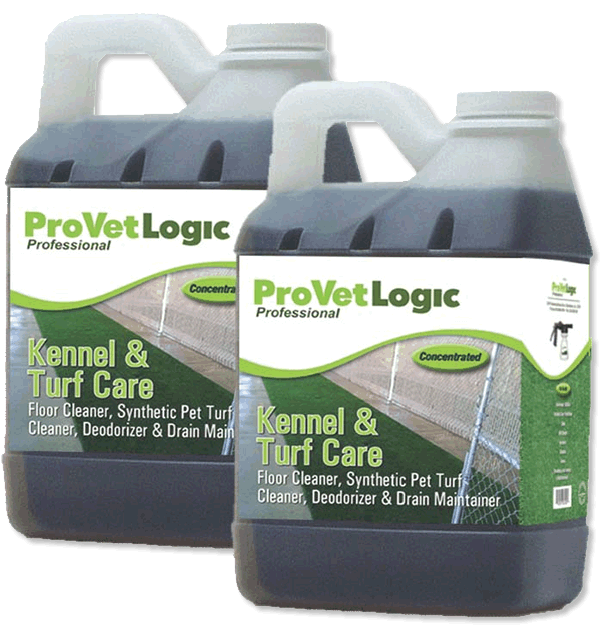 ProVetLogic Kennel and Turf Care Enzymatic Floor Cleaner & Drain Maintainer Concentrate. 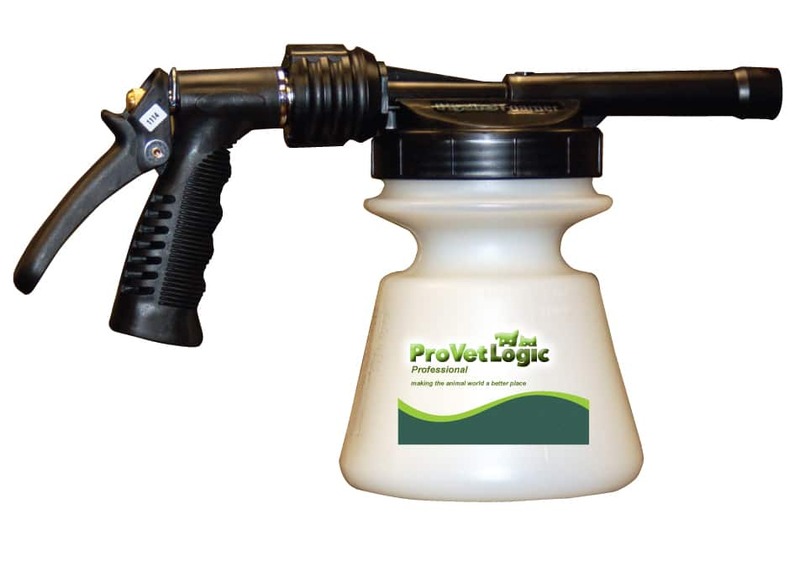 Makes up to 64 Gallons of Floor & Drain Cleaner By penetrating porous floor surfaces Kennel Care degrades and eliminates organic matter, such as food spills, animal waste and other organic materials that accumulate over time. 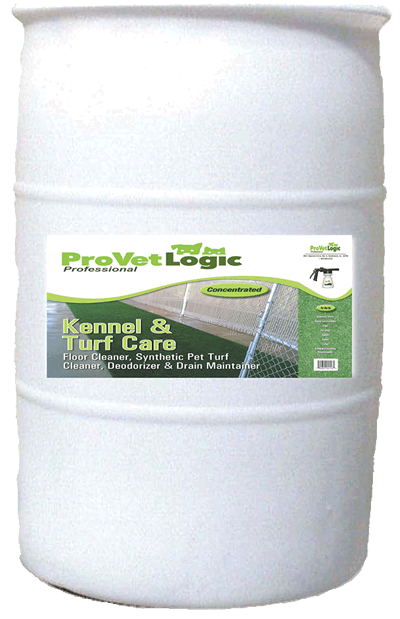 Kennel Care Enzymatic Floor Cleaner Packed two/.5 Gallon containers of Kennel Care Enzymatic Floor Cleaner & Drain Maintainer Concentrate. 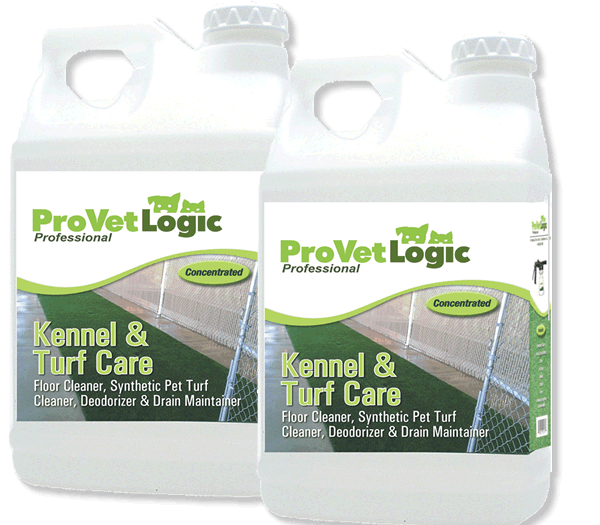 Two one-half gallon bottles of ProVetLogic Kennel and Turf Care Enzymatic Floor Cleaner & Drain Maintainer Concentrate. By penetrating porous floor surfaces Kennel and Turf Care degrades and eliminates organic matter, such as food spills, animal waste and other organic materials that accumulate over time. The bio-enzymatic activity continues to degrade organic matter as it travels through floor drains and into soil collection traps. Animal Facility Disinfectant and Kennel and Turf Care are formulated with similar fragrances to minimize the negative impact on an animal’s olfactory sense. Kennel and Turf Care does not leave any visible or slippery residue on the surface after cleaning.